Last week, an analysis had good news for American internet users struggling with sluggish broadband connections. The 2018 Speedtest U.S. Fixed Broadband Performance Report by Ookla found that an expansion of gigabit internet connections has led to a 35.8% increase in download speed on average around the country. That means the U.S. is now up to seventh position worldwide for downloads, though it’s not as pacey in uploads where it comes in at number 27 globally. Ookla carried out its analysis with 25 million unique devices that provided over 115 million tests in the second and third quarters of 2018. At city level, Kansas City is able to boast the fastest download speed in the nation with an average fixed broadband download speed of 159.18 Mbps. Two cities in Texas – Austin and Lubbock – come second and third with 143.66 and 141.38 Mbps respectively. 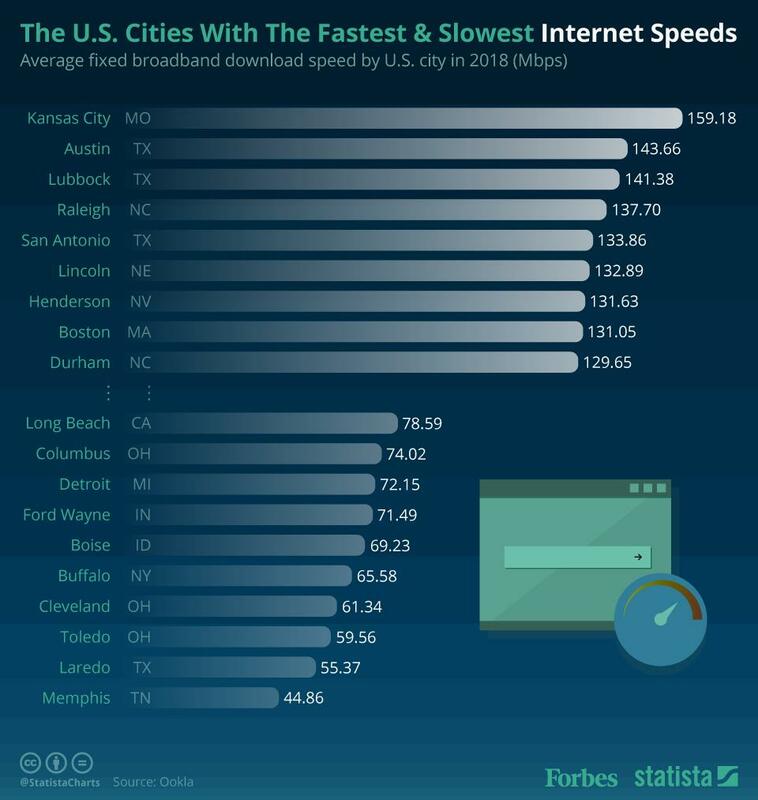 Interestingly, Google Fiber is the fastest Internet service provider in three of the top five cities with the top download speeds. At the other end of the table, things are still going at a snail’s pace in Memphis which has an average download speed of just 44.86 Mbps by comparison.